First of all, we have an editor connected to the project now. Michael Reikowsky. Like most of my Beta Reading team, Michael is someone I met through The Dinner Party Show. He is a very detail oriented reader with a wonderful understanding of plot consistency and language, and I have every confidence in him. He is not afraid to be honest in his assessment or offer constructive criticism and he doesn’t pull any punches, exactly what I would want in a editor. One of the functions of a good editor is to point out any blind spots I may have in relation to my own project. We also have a team of beta readers, many of whom are also friends from the Dinner Party Show. Phillip Cohen, Greg Wilkey, Taletha Wagoner, and Buffie Peterson are all from the Dinner Party Show. You can see their bios in my previous post. My friends from elsewhere who are beta reading are Kymberly Rico-Ward, Natalya Fay, and James P Anderson. My friend Tinkerbell is going to ask her teenage kid to beta read because hey, it’s a young adult title. I also can thank Beth Johnson and M Blau Bockstiegel for helping me to get the Spanish language into the story in appropriate spots. 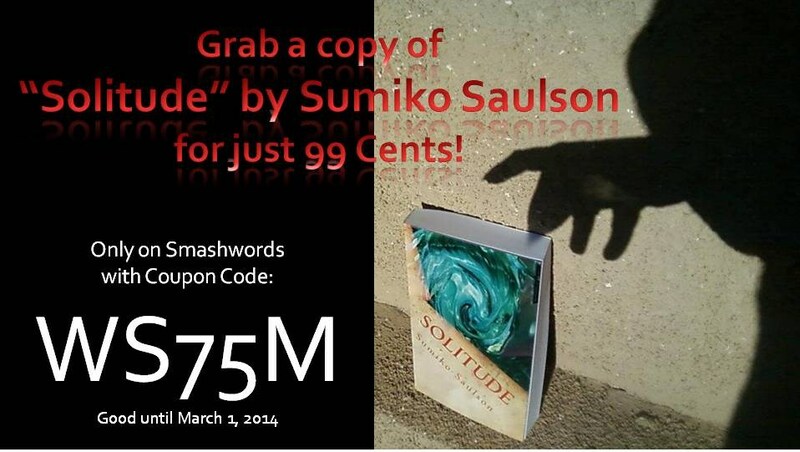 For a limited time, pick up a copy of Solitude on Smashwords for just 99 cents! To what extent does the presence of others affect our thoughts and actions? What do we believe when we are truly alone? Solitude is the riveting tale of diverse individuals isolated in a San Francisco seemingly void of all other human life. In the absence of others, each journeys into personal web of beliefs and perceptions as they try to determine what happened to them, and the world around them. Each of them view events differently. One suspects aliens have invaded, another believes it’s a sign of Revelation and end times, some don’t know what to think, and others find their minds unraveling as they struggle to cope with unimaginable events. Soon, threats both natural and supernatural leave them too busy fighting to survive in a world of strange and unpredictable events where all of the luxuries of civilization are being slowly eroded to even stop to wonder. And unless they can find each other, they will have to face it all alone, in the dark. ~ by Sumiko Saulson on February 24, 2014.